Emil Richard Jahna Jr., our Founder, was born to Emil Richard Sr. of Landskrom, Bohemia and Nola Edwina Hughes of Elizabethton, TN in 1924. 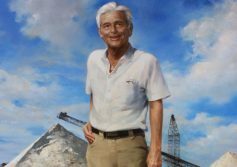 Shortly after, Emil Richard Sr. started Ridge Stone & Tile Company and the family moved to Lake Wales, FL where we still operate out of today. 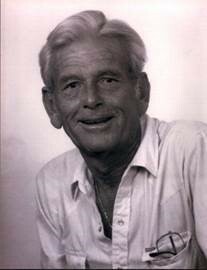 Our founder, Emil Jr. grew up working at the family business where he learned about sand and concrete. In 1942 he left to join the 71st Seabees of the US Navy where he served for three years in their Pacific construction battalion. Upon returning, Emil Jr. decided to start his own company which eventually became ER Jahna Industries. A true business man, his word and a handshake was better than a contract, and he could always be found with one pant leg in and one pant leg out of his boots. He married Jeanne Allen Bardin in 1954 and the two had five children together. Emil Jr. passed away in 1996. His children and grandchildren have carried on his legacy and love of sand. Now on their fourth generation of Jahnas, the company remains family owned and stays true to the principles it was founded on. 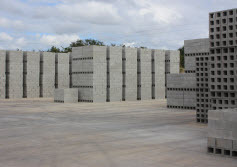 The Jahna Family moves to Lake Wales, FL to start Ridge Stone and Tile Company manufacturing concrete products. 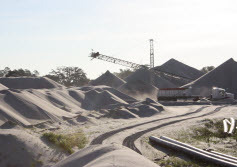 Emil R. Jr. begins his career in mining by working for the Lake Wales Independent Sand Company owned by his father, Emil Sr., supplying sand to local businesses for concrete. 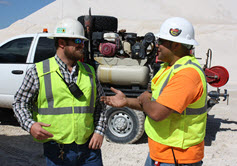 Emil R. Jr. uses money saved during his deployment to purchase Davenport Sand Company supplying sand to Central Florida. ER Jahna Industries is incorporated. Emil R. Jr. sees the need for mines that can transport sand by trucks, instead of just railroad. 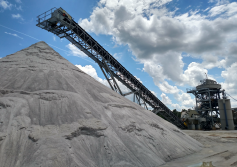 Clermont East Mine opens supplying sand by trucks. 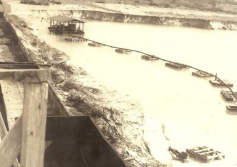 Ortona Sand Mine deposit is discovered and mining operations begin. 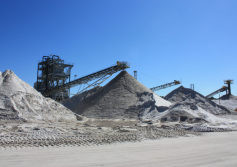 Loughman Mine begins producing sand that helps build I-4 and Disney. 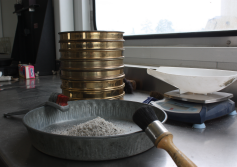 ER Jahna expands their reserves through the addition of the Haines City Mine. 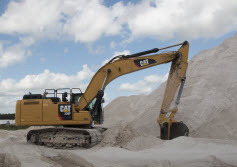 S&R Transport is opened to haul sand into Central FL markets. New Office is built on Tillman Avenue in Lake Wales, FL. 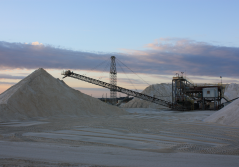 Sand deposits which will become the Independent Mine are purchased in Lake County and operations begin. ER Jahna purchases existing limestone operation, Cabbage Grove, in Taylor County. Large tract of land purchased which is now Green Bay Mine. With the passing of Emil R. Jr., the company begins a new era under the leadership of CEO, Allen Keesler, and the second generation of ownership. 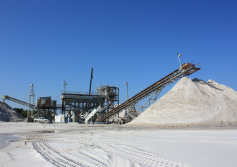 Green Bay Mine begins production providing sand to Orlando and Tampa markets. 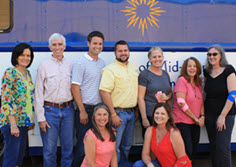 The Jahna Foundation is established to continue giving back to local communities. 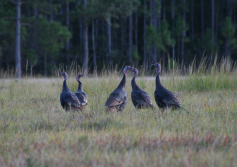 ER Jahna expands outside of Florida to Liberty County, GA and production begins as Savannah Sand. 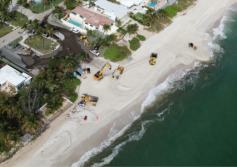 Ortona Sand Company begins the Broward County beach restoration supplying 900,000 tons of sand in twelve weeks.